Over 25 Ways for Retired Adults to Stay Active in Washington, D.C.
You’ve retired and find yourself with plenty of extra time on your hands. Now what? Just because you’re retired doesn’t mean you have to stop living an active life. Find activities to enjoy in your local community to fill your time and enrich your life. Whether you are into learning, exploring, or exercising, our extensive list of activities will help you find activities that are right for you. Though this list is tailored to the Bethesda, Maryland and Washington, D.C. areas, active adults virtually anywhere can enjoy these activities. You don’t have to visit Paris or Rome to enjoy cultural expeditions. Travel to nearby cities like Bethesda or Washington, D.C. and take in the sights. 2. Stop by George Washington’s famous home, Mount Vernon. An expansive estate, Mount Vernon borders the Potomac River and gives its visitors insight into the lifestyle led in the 18th century. The grounds include Washington’s large mansion, beautiful gardens, a lovely gift shop and restaurant, and even Washington’s own historical burial site. This famous location is a fun day outing for active seniors, but be prepared to walk. The spacious grounds will provide any guest with a fair amount of exercise. 3. Don’t miss out on the National Monuments. These include the Washington Monument, Lincoln Memorial, the National Mall, and Arlington National Cemetery. All within a short distance from each other, these monuments reveal the rich history of the United States. 4. Get some shopping done. Looking for gifts for the grandkids (or for yourself)? Georgetown and Old Town Alexandria provide a full array of shops for a day of relaxing retail therapy. These historic towns are a little removed from the hustle and bustle of Washington, D.C., but still have plenty of activities and gorgeous scenery for you to enjoy, not to mention some of the greatest shopping around. 5. Experience a show at the Kennedy Center for the Performing Arts. With musicals, plays, and orchestra performances daily, there is plenty to entertain at the Kennedy Center. Make sure to book tickets in advance, as some performances can sell out quickly. Wherever your home is located, planning trips to nearby cities can be an enjoyable way to spend your time. Taking in local culture and entertainment is a great way to learn more about where you live. To make your travel more fun, plan your next adventure as a group outing and bring along all your active friends! No matter how old you are, exercise is an essential part of staying healthy. As you age, your body loses muscle definition and bones can weaken. Asthma, arthritis, and joint pain become more common. However, a daily exercise regimen can strengthen muscles and bones, which can improve arthritic symptoms while increasing balance and mobility. Staying active can also help with pains associated with a sedentary lifestyle and prevent falls that could injure you seriously. 7. Rumba classes. 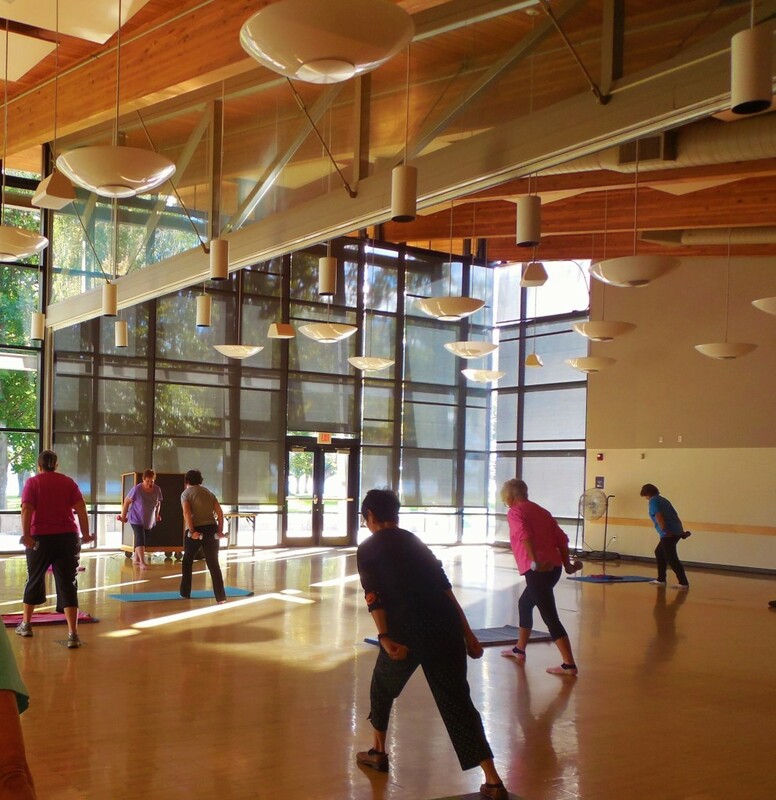 They even offer classes specifically for active adults called Seniors in Motion. 8. If you enjoy tennis or golf, find nearby courses or country clubs. The Bethesda area has many popular clubs, including Burning Tree Country Club, Kenwood Golf & Country Club, and Bethesda Country Club. These locations are only a short drive from Bethesda and Washington, D.C. Here at Fox Hill, we also offer an outdoor putting green and indoor virtual golf to help keep you up to par on the golf course. 9. Head outside for some exercise outdoors. Find local parks or paths for walking. Spending just 30 minutes a day walking around outdoors can help to keep you healthy and in shape. Some of the benefits of daily activity include maintaining or losing weight, enhanced mobility and flexibility, and sleeping more soundly. Exercise can also reduce the chance or impact of chronic disease, boost mood, increase circulation, and build muscle. Make exercise a priority in your daily regimen to stay healthy and enjoy a more active life. Sharing your time and years of wisdom through volunteer work is a great activity for energetic seniors. With more free time than younger adults, your participation in volunteer work can be an excellent way to stay involved in your community. 10. Find local volunteer opportunities. Try using the website, VolunteerMatch.org to find volunteer opportunities near you. There are always groups and individuals looking for volunteers in the Washington, D.C. area. This website even allows you to choose a volunteer opportunity based causes that are important to you like animals, children & youth, the environment, or housing projects. 11. Become a mentor. Teach the local youth community a new skill set, or simply be there to lend a listening ear and impart your years of wisdom. If volunteering for the children or young adults sounds like the activity for you, visit the YMCA of Metropolitan Washington. Giving back is a great way for older adults to make a difference and stay active at the same time. Look into local shelters, food banks, or volunteer centers to find out more information on ways you can effectively give back to your community. Throughout your life, it seems like there is never enough time to get things done and pursue all your interests. But once you retire, you will find that there is plenty of time to fill. Use that time wisely and pick up a new hobby or skill. If you’re in the Bethesda, MD area, check out the interesting adult education courses provided by Live and Learn Bethesda. Some of the Winter 2015 courses include The Life and Times of Galileo Galilei, Making the Most of Your Time in Paris, Google: It’s More Than You Think!, and many more. Explore the culinary landscape in your area by trying out new restaurants. Once you have made a few friends with similar interests in your community, make plans with them to try out local eateries together. Setting up plans to try local restaurants not only gives you something to look forward to, it also gives you a reason to dress up and spend an evening with friends! Get season tickets for summer concert series or outdoor events. Buying tickets for events that have more than one date of attendance will keep you invested in the series and will ensure that you go back for future shows. Plus, there are usually discounts offered to older adults and additional savings for buying ticket packages. As an active retired adult, thinking outside the box is a great way to prevent your routine from getting stale. You are as young as you feel, and doing the unexpected can keep you feeling energetic. Staying active is also a vital part of growing older. Whether it is golf, tennis, volunteering, or joining a club, find things that keep you busy and feeling fulfilled.